Turn gas to boarding pass with your Petron Value Card and GetGo rewards by Cebu Pacific - Hello! Welcome to my blog! Good news for all loyal Petron customers: You can now fly for free to your dream travel destination by simply using your Petron Value Card when you gas up! As a partner of GetGo, the newest lifestyle rewards program of Cebu Pacific, Petron enables motorists to become tourists by converting their Petron Peso Points to GetGo points which can be used to redeem free Cebu Pacific flights to local and international destinations. Turning gas to a boarding pass is easy! Just present your Petron Value Card when you gas up at over 2,000 participating Petron service stations nationwide to earn Peso Points which can be converted to GetGo points. Two (2) Value Points is equal to three (3) GetGo points. 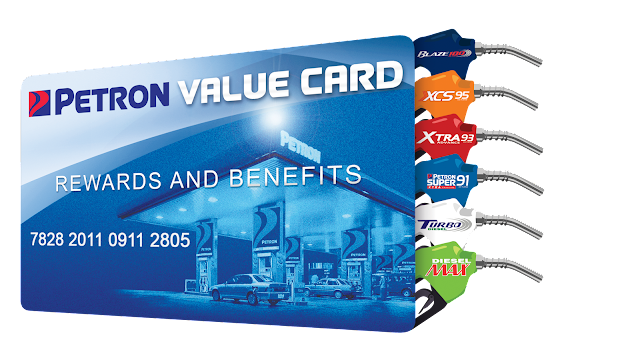 Simply email petronvaluecard@petron.com to request for conversion. Aside from filling up with gasoline, diesel, kerosene or autoLPG fuel, Petron customers can also earn Petron Peso Points when they purchase engine oils and Petron Gasul. Now is the best time to drive to the nearest Petron station and fuel your way to free flights today! GetGo points can also be redeemed for Cebu Pacific add-on products such as baggage, insurance and meals. To register for a Getgo account, simply visit www.GetGo.com.ph, click JOIN, fill out the application form, and for only a P150 membership fee, have your personalized GetGo card delivered to your doorstep. GetGo membership kits are also available from Ministop outlets nationwide. Gas up. Convert points. Fly for free!